The Bharatiya Janata Party is preparing its traditional weapons. Is preparing for war. Pakistan, which has the right to win the hearts of the people of the country, can be used to help Kashmir. It's not okay to get out of the Bharatiya Janata Party. But in the case of timing, doubts are expressed. Within a year, the country's general elections will be coming up. Assembly elections in key states will be held in December. There are many survey organizations in the country that are getting bogged down by the Modi graf. Political circles have expressed doubts about the BJP's strategy of linking these three. Madhya Pradesh, Rajasthan, Chattisgarh, Jammu and Kashmir will have to hold elections. The BJP is now facing elections in December. Political observers and analysts conclude that these states are once again the BJP. Surveys also say the same thing. The Lok Sabha elections will be held in March and April. In December, the impact of the hunger strike in Rajasthan, Madhya Pradesh and Chhattisgarh will affect the Lok Sabha elections. The Bharatiya Janata Party (BJP) has said that Narendra Modi will invest in Karisma and come to national elections with the respective states. Even if he is put on the shoulders of the Congress in the Assembly polls, it is only a few of the best that the BJP is intellectual. One argument is that it will benefit the BJP when the sensitive issue like Jammu and Kashmir is raging. The Lok Sabha elections should be held ahead.It shows the various advantages of various factors. Terrorism and violence in Jammu and Kashmir are widespread. Revolutionary trends are emerging. The BJP has shown a sack to get out of the surrogate that the lives of civilians are in danger. It is their government at the center. Is in the coalition. The governor is a person in their jurisdiction. But when it comes to the party, it does not matter. The BJP's opportunist alliance was aimed at not only the rival hands of the National Conference, Congress and PDP. 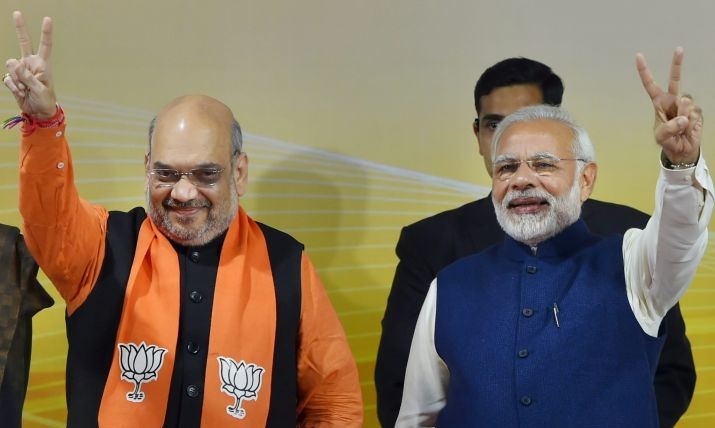 BJP was able to win 25 seats as a representative of Hindu nationalism in Jammu. The demand for self-proclaimed PDP is the demand for the BJP to abolish the original privilege. There are different theories, different ideas, different parties that have different functions. The prospect Now break up is politics. Focusing on the Jayendra Kishan issue, the BJP's victory in the country goes to polls. The conflicting atmosphere continues to come from the surgeon's power. Constantly adjusting the situation by intervening in Delhi. There are times when the Prime Minister played the role of the mediator. The lapse goes on. In a year when elections are coming up, a plea is given to break up. The sensitive religious atmosphere in Jammu and Kashmir is predictable that the BJP can be utilized for polarization across the country. The BJP has succeeded in the UP polls after surgical strikes on Pakistan in the past. The army is busy with the task of looting terrorists from Pakistan-occupied Kashmir. But the local youth there is rebelling against the country. It is a matter of thinking about politics. The center should think about how it is possible to control it under conditions where there is no public government. If there is a sense of achieving everything through force experimentation, The PDP, which has led the government so far, will now become another weapon in their hands. The National Conference and the Congress Party are limited to watching the scene. It is also possible to damage the confidence of people within the 30% In the same way, the future Jayant Kai election can be ridiculed and ridiculing democracy.